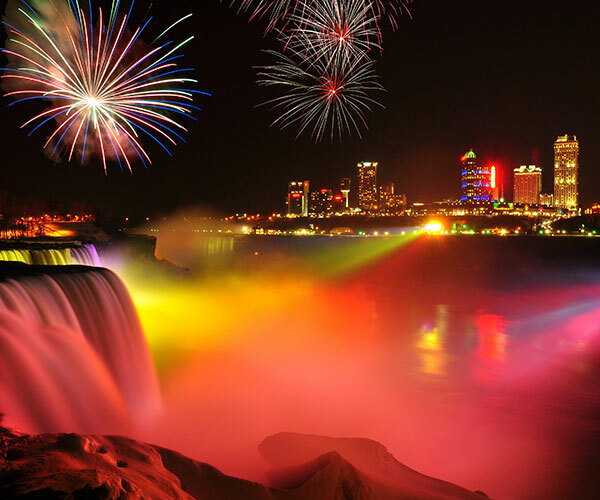 See the sky light up with fireworks over the Falls from May to September and during the Winter Festival of Lights (November to January). See millions of different shades of colour, a sight you and your loved ones will be amazed by! 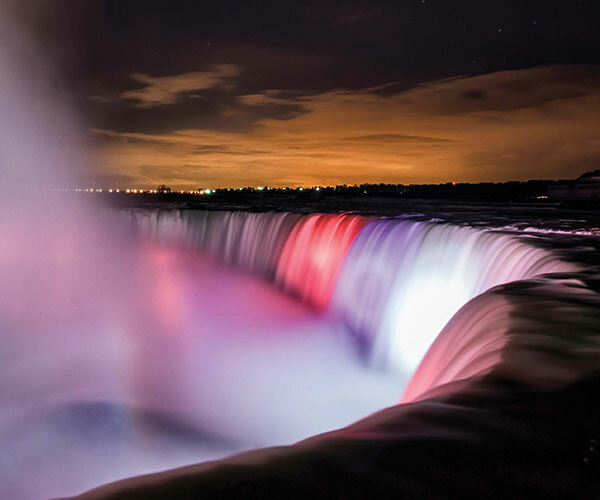 Every night throughout the year, the massive falls of Niagara are bathed in all the colors of the rainbow, by way of huge colored spotlights located on the Canadian side of the falls. You can enjoy this awesome sight of the thundering falls illuminated in all different colors until midnight most nights of the year however schedule changes depending on season and weather conditions. 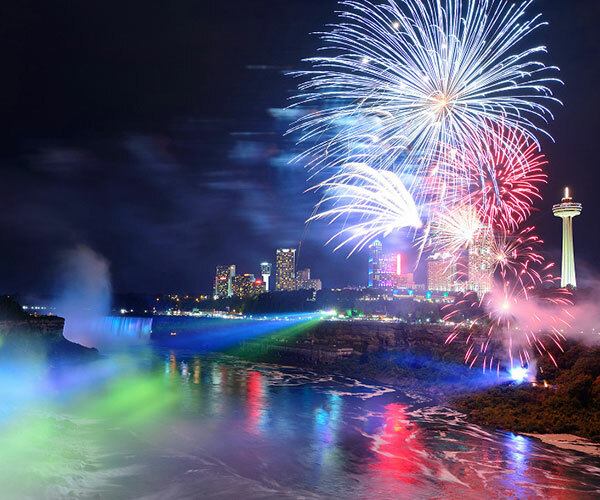 You and your loved ones will be amazed at your own private viewing of the spectacular Fireworks and the magnificent light show over the famous Niagara Falls. A light show you can enjoy from the comfort of your own Fallsview Room that you cannot see anywhere else.